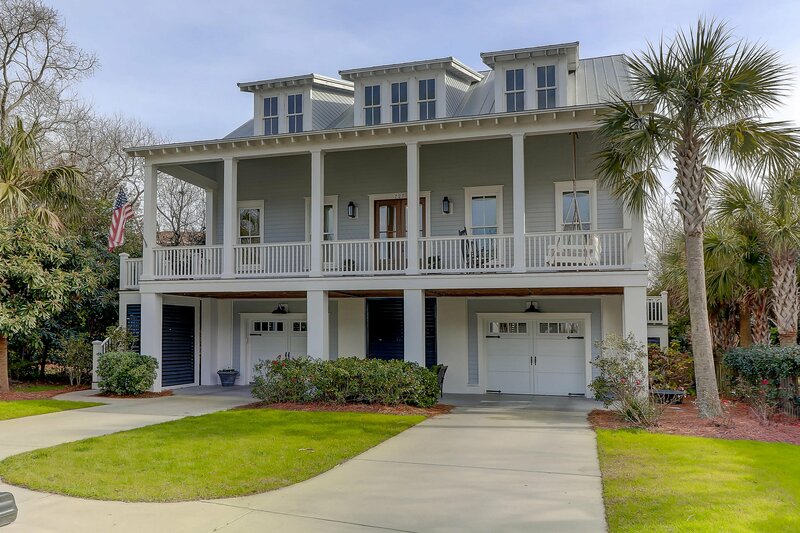 Coastal home located in Old Village Landing. 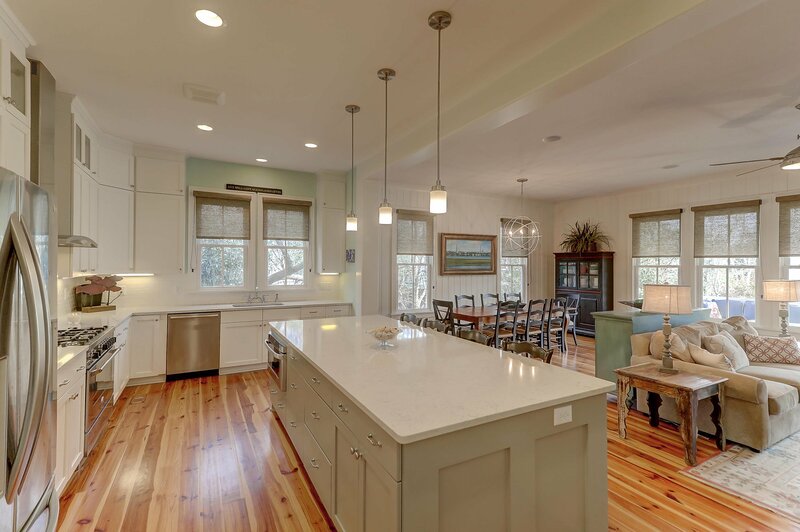 Enjoy 3242 sq ft with 5 bedrooms and 3.5baths. 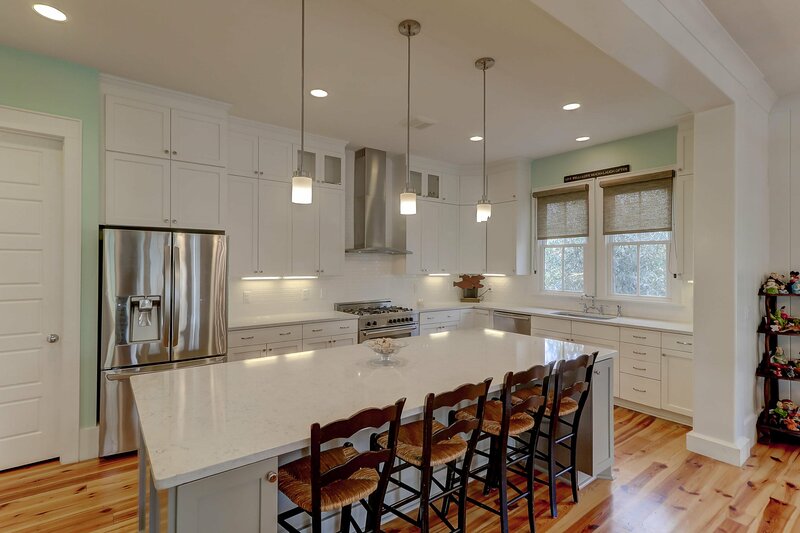 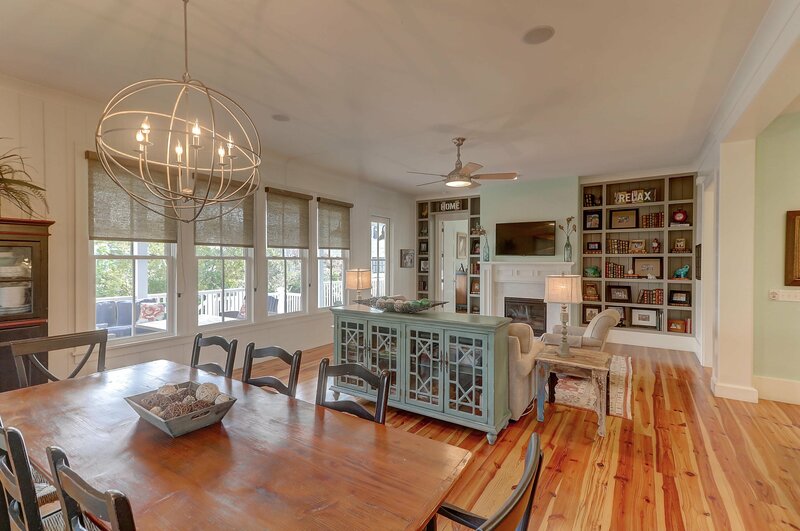 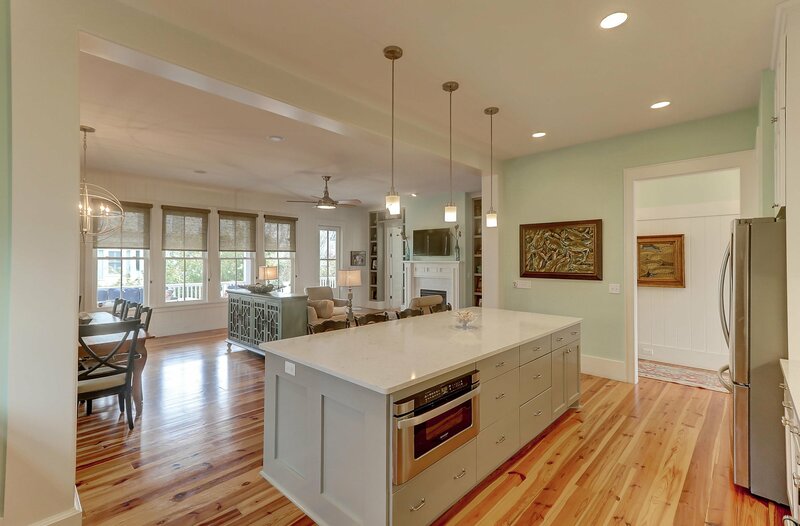 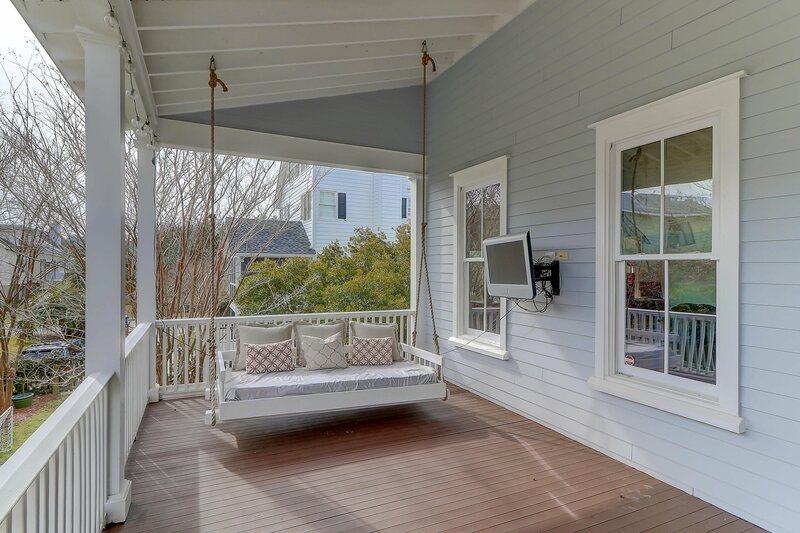 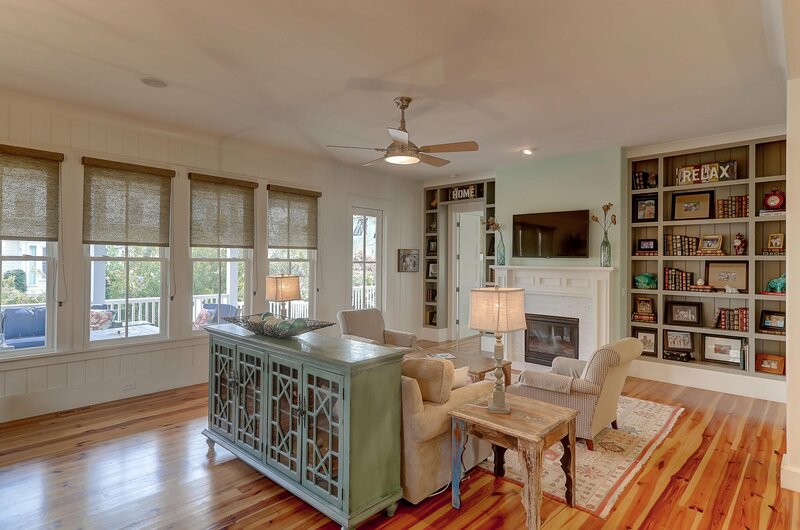 Beautifully designed with open floor plan, 10 ft ceilings and full porches across the front and back of the house. 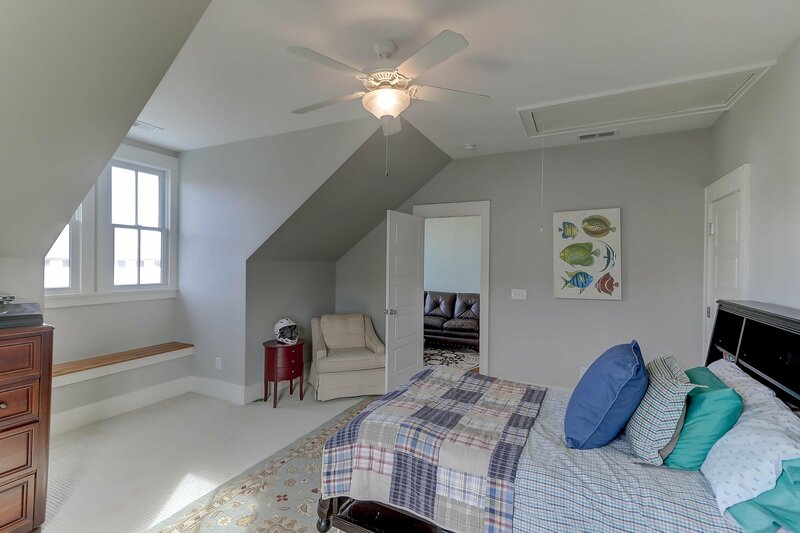 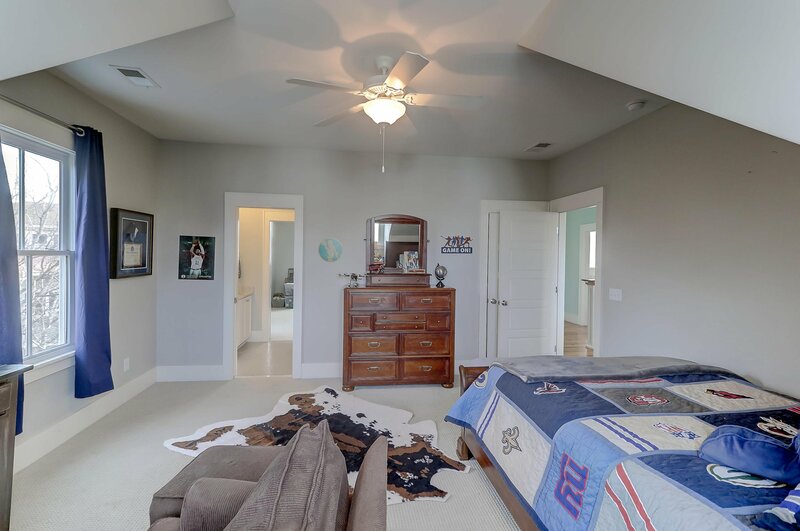 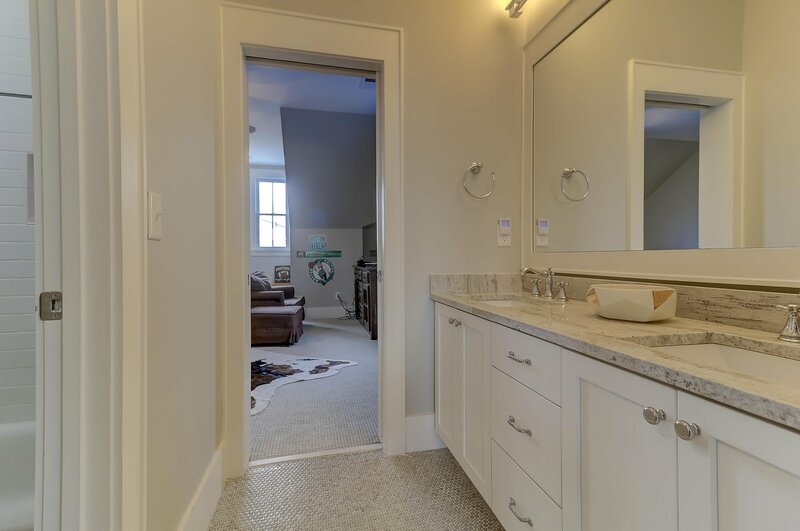 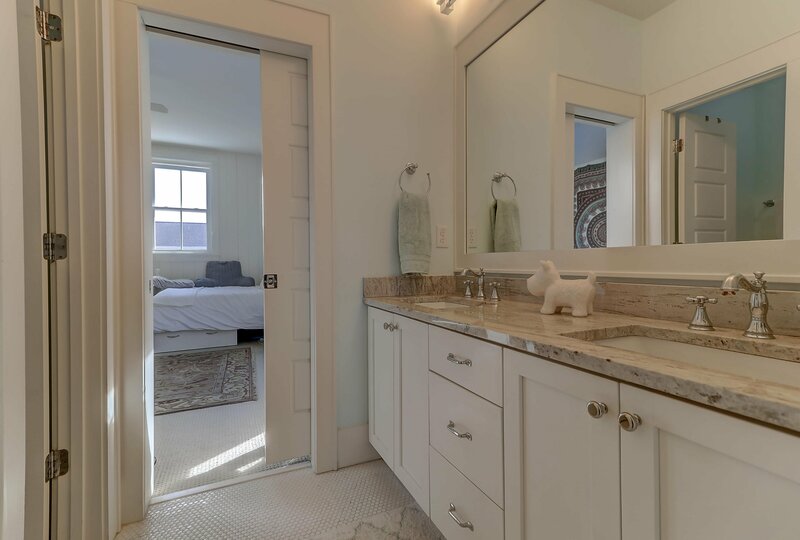 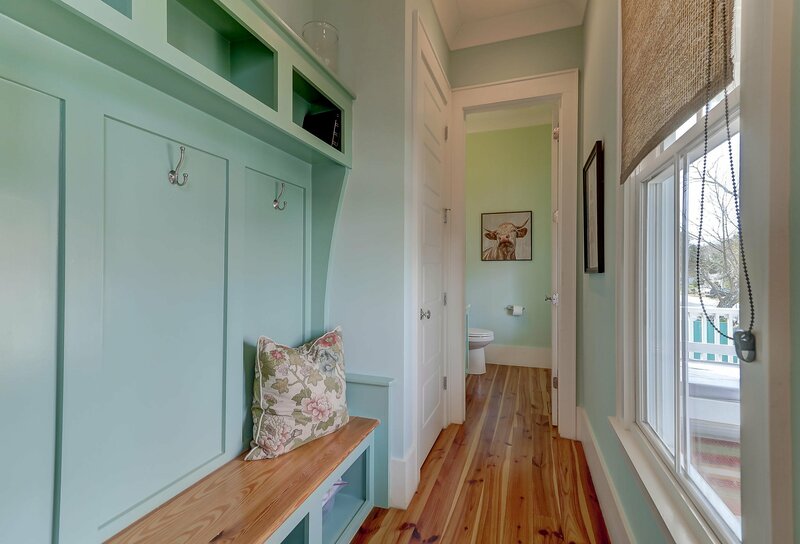 The master bedrooms is on the first floor with two walk in closets and a luxurious en suite bathroom. 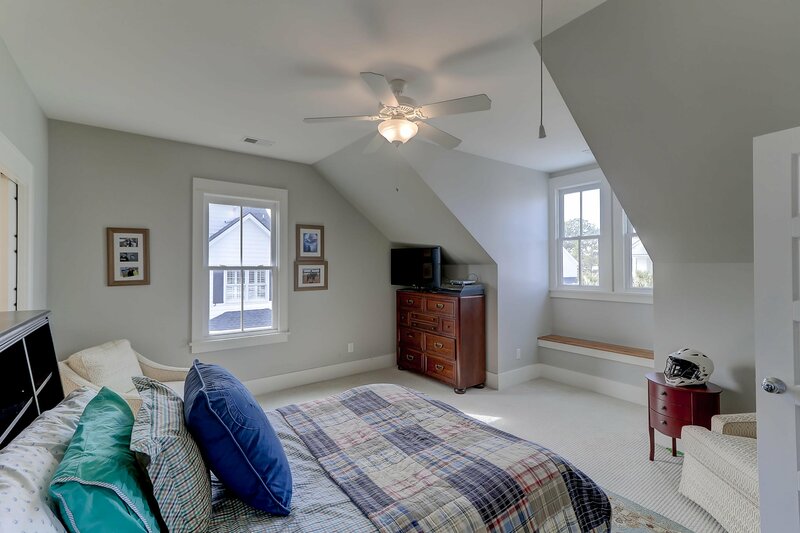 The remaining 4 bedrooms and office nook are located on the second floor. 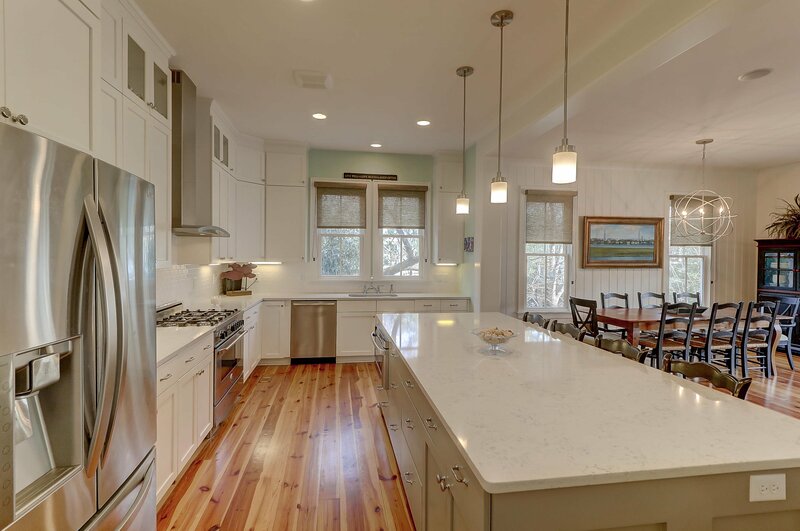 The kitchen area is comprised of quartz countertops, top of the line stainless appliances, custom cabinetry, large center island with plenty of seating, breakfast/dining area and family room complete with built-ins and fireplace that flow seamlessly to the screened in back porch that is perfect for a sleeping swing bed at one end and family/friend gatherings and dinner at the other end. 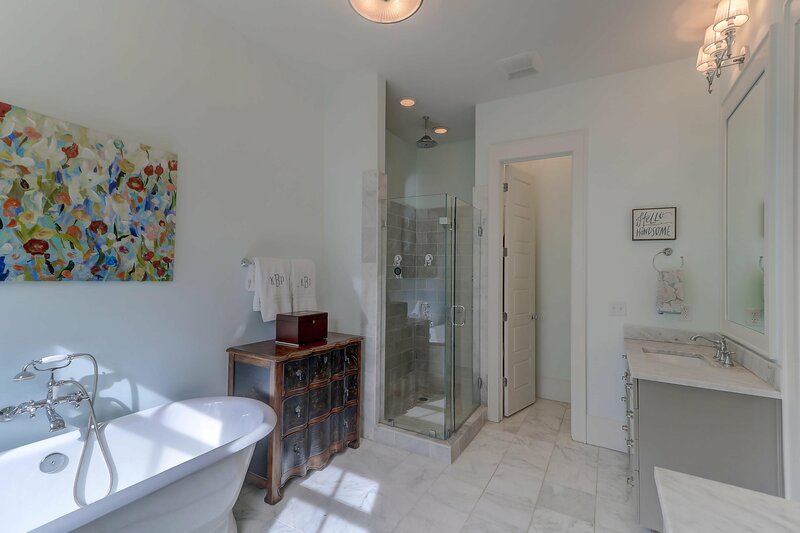 Upstairs, on each side are two bedrooms and each pair of bedrooms share a jack and jill bathroom (4 bedrooms, 2 full baths). 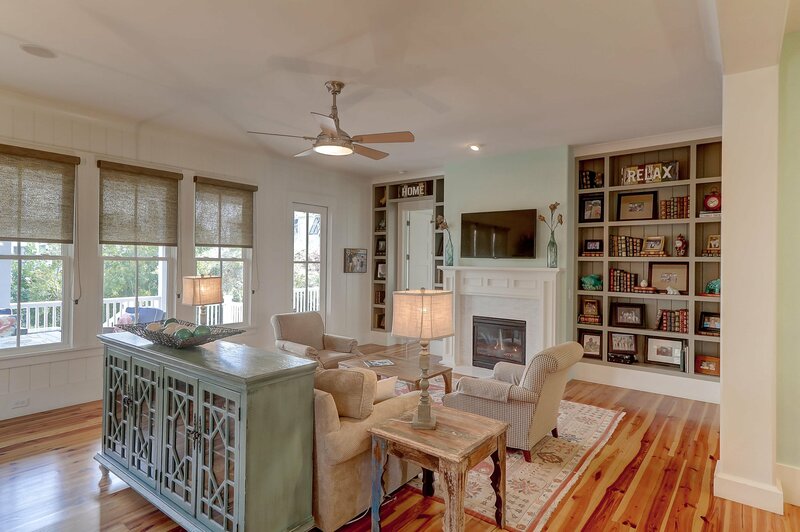 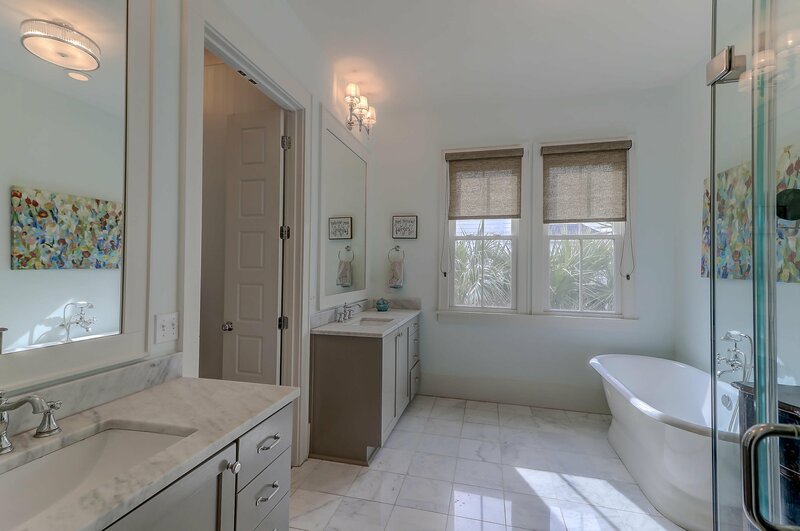 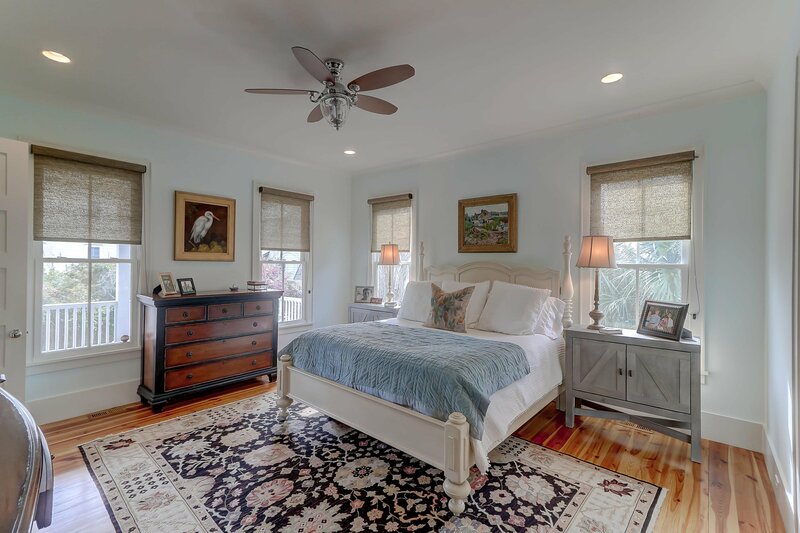 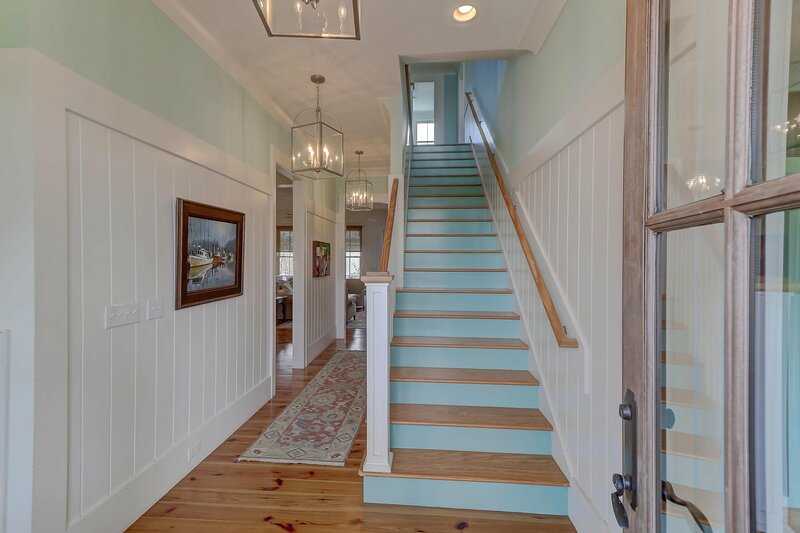 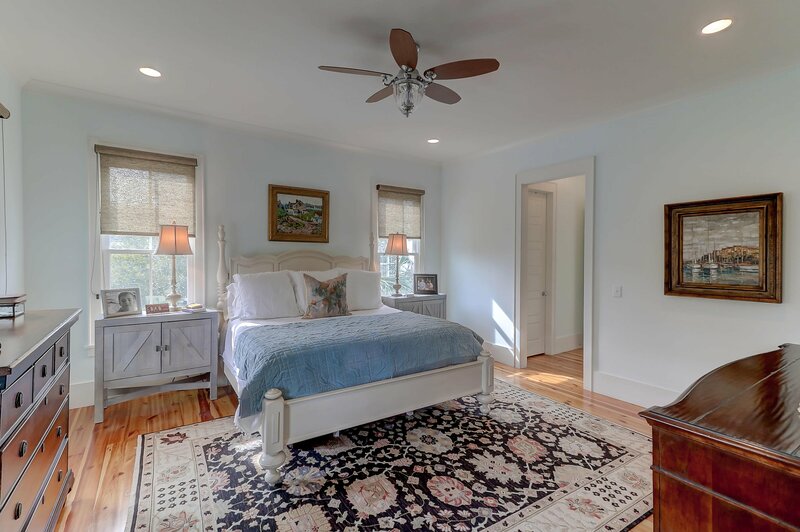 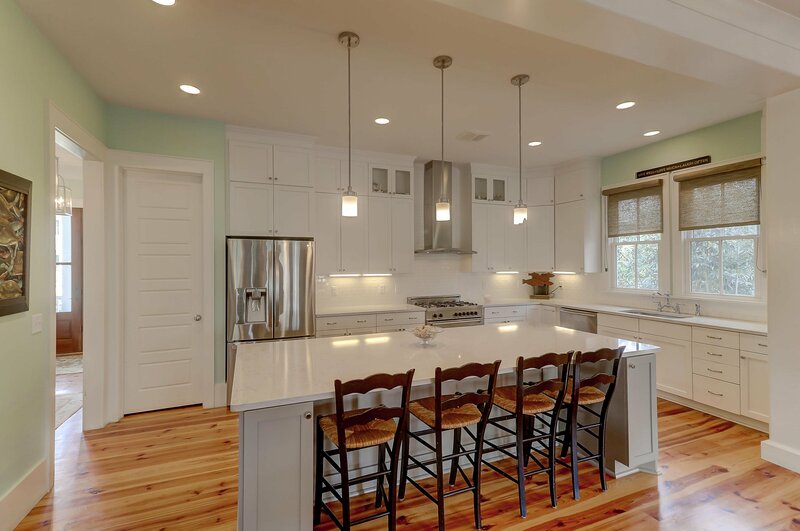 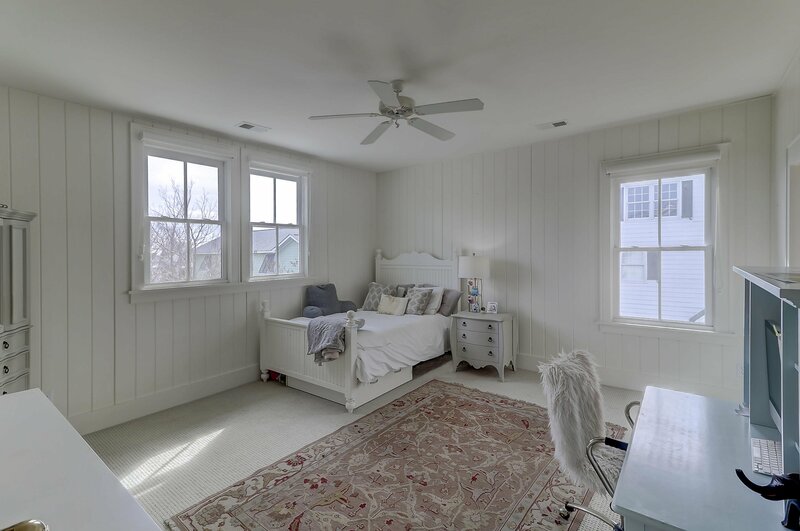 Stunning architectural features are resplendent throughout the house which include open rafter details, handsome trim throughout, gleaming hardwood floors, spacious and perfectly proportioned rooms. 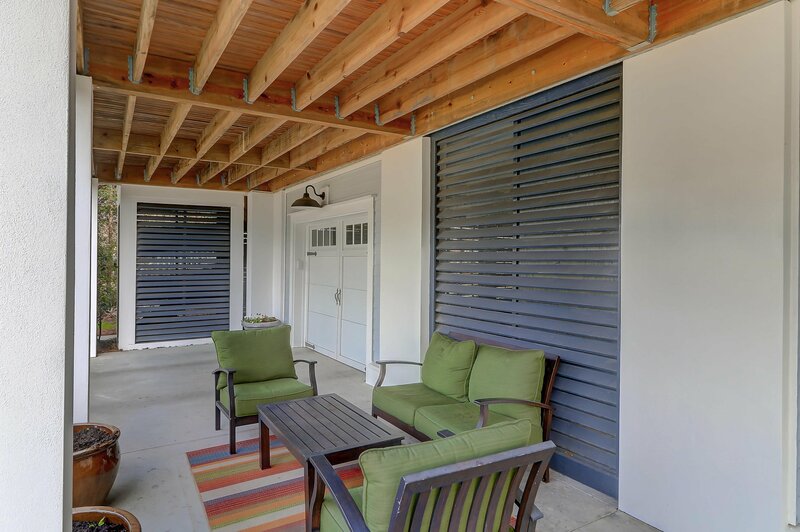 Plenty of parking beneath the house for multiple cars and golf cart as well as a pergola area to enhance the backyard. 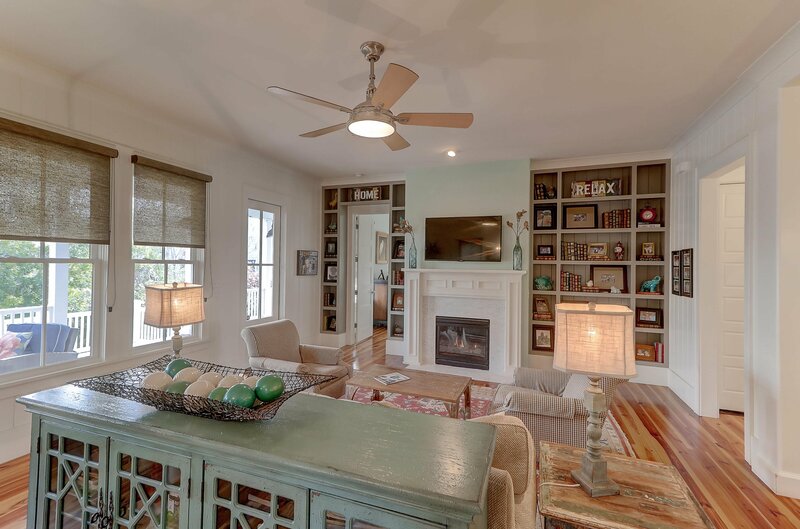 This charming home is located in a cul de sac making it very private. 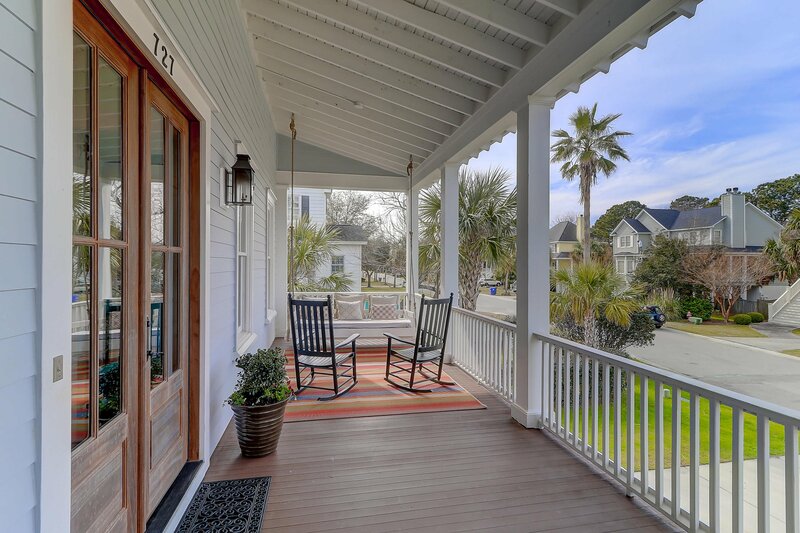 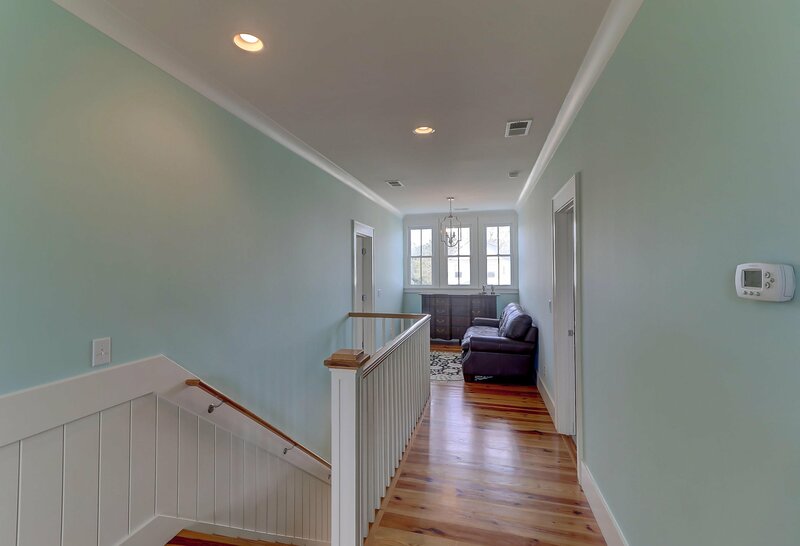 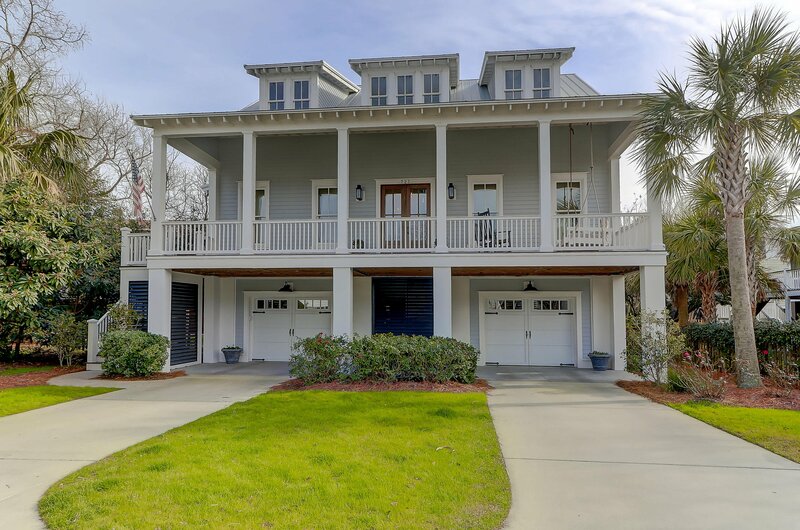 It's move in ready and the neighborhood is convenient to all that the Old Village area offers along with the beaches of Sullivans Island and Coleman Boulevard. 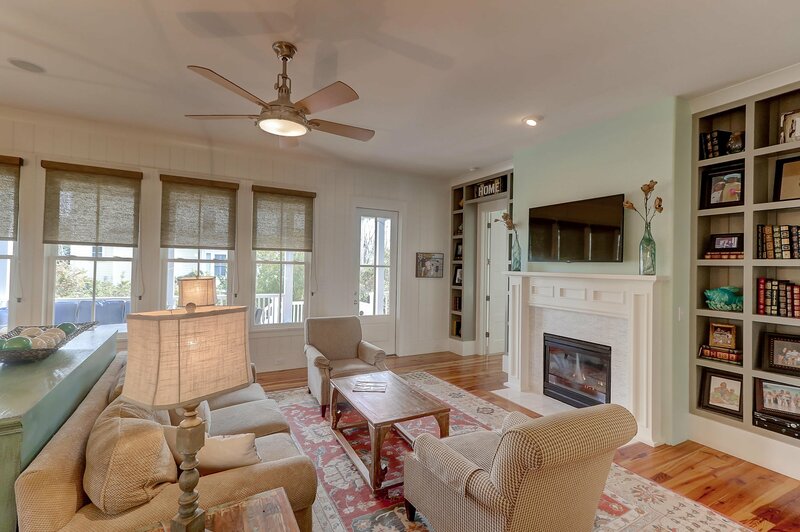 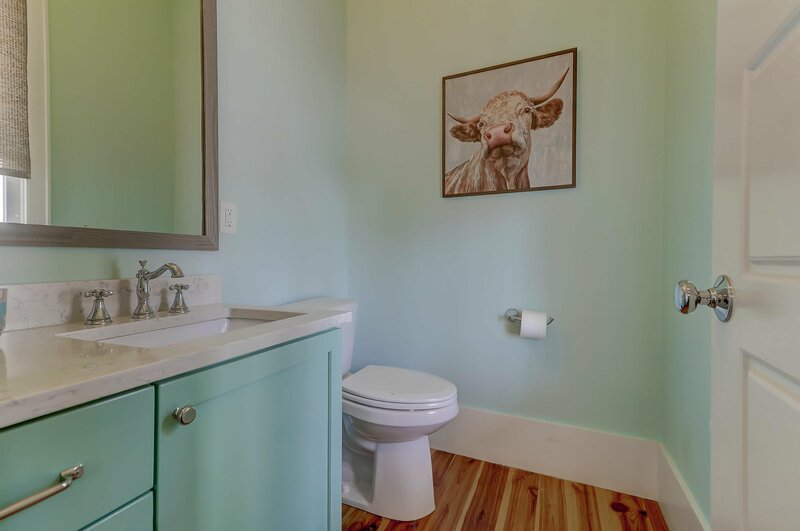 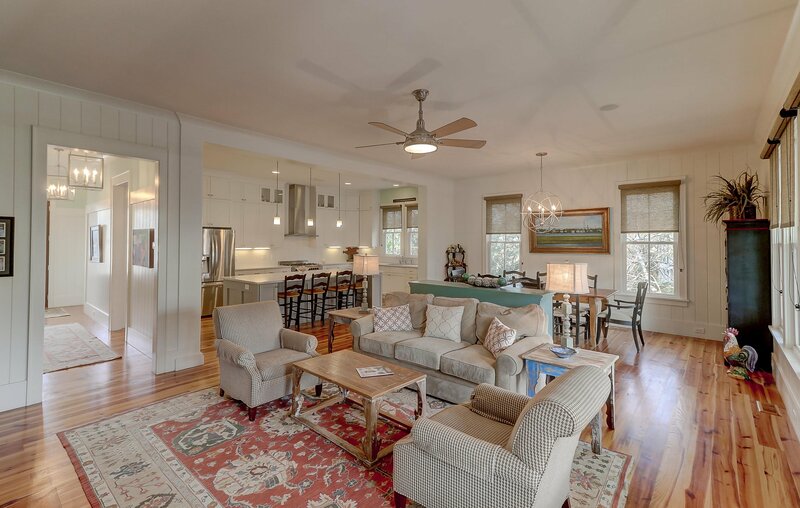 Just minutes to downtown Charleston. 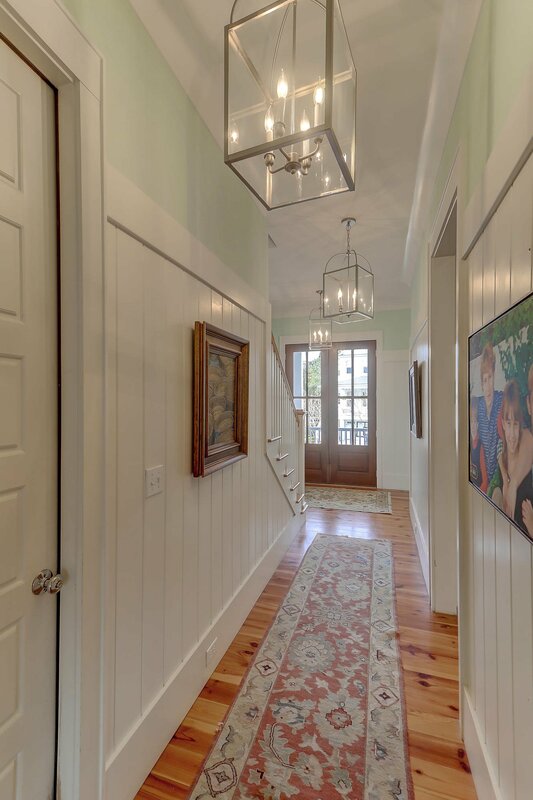 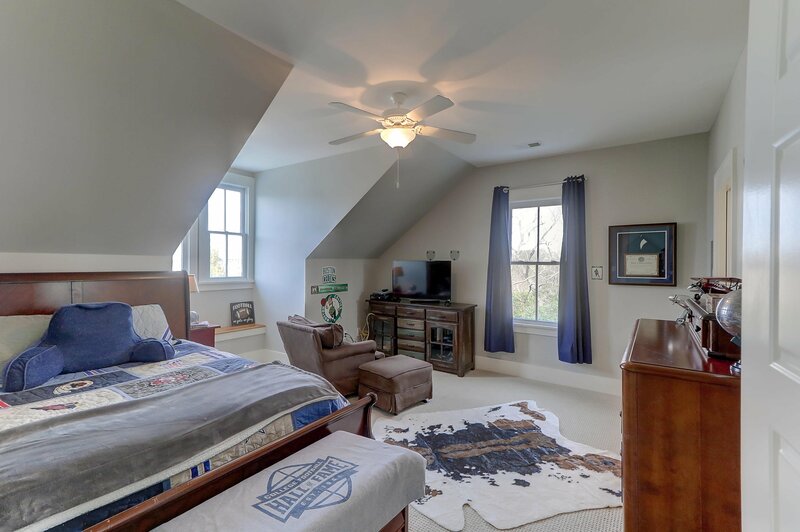 Virtual tour and interactive floor plan is available for ease of seeing the listing on line.